When it comes to purchasing a home, if you have kids or thinking about having kids, then school district ratings could sway your opinion on the area that you’re looking to purchase. 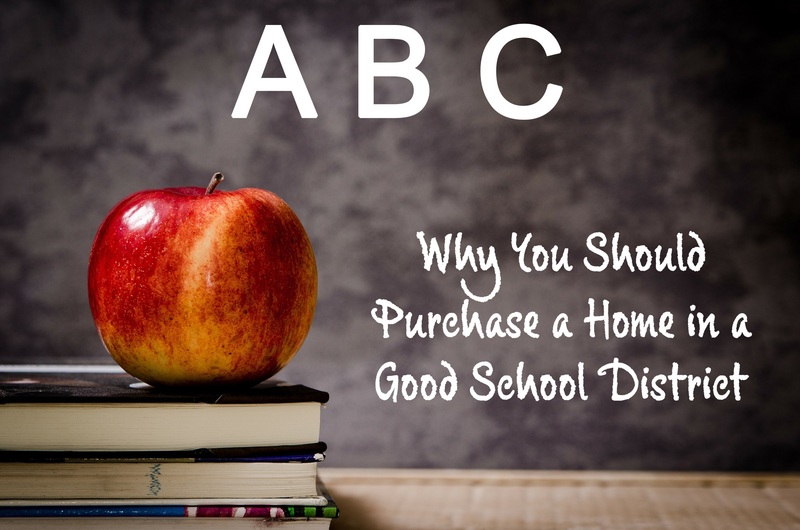 Living in a high-rated school district is not only good for your children, but it’s also will play a part in your home value when it comes time to resell your home. So how can you tell if the home you’re looking to purchase is in a good district? Some things to keep in mind include the age of the schools and the condition of the facilities, the student-to-teacher ratio, and their standardized testing scores. In the state of Texas, the education agency looks at four parts when it grades a school - student achievement, student progress, closing performance gaps, postsecondary readiness. The accountability system assigns ratings that designate acceptable and unacceptable performance for districts and campuses. Even if you don’t have children, purchasing a home in a good school district pays off. Homes for sell in higher ranking school districts tend to sell fasts and for more money. Homes in good school districts also tend to hold their values better than homes that lower ranked districts. This is especially true when the market takes a dip. When it comes to local school districts, Graford ISD and Graham ISD both met the 2017 TEA standard on student achievement, student progress, closing performance gap, and postsecondary readiness. For a school district to meet the standard, they must meet target performance ratings on three of the four indexes. Both districts met the standard on all four. Graford High School was also recognized by the state for having their students ready for the post-secondary. So if you’re looking to purchase home, be sure to take the time to get information on the school district. This will not only give your children the gift of a great education, but will help you when it comes time to sell your home. For additional information on western DFW area schools, be sure to click here.